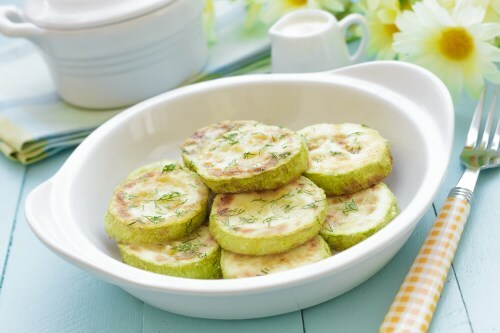 Place zucchini slices on a baking sheet and brush with melted butter. Season with lemon pepper. Bake in preheated oven for 20 to 25 minutes, or until tender.